coming up in the next week. We went on eBay to find a used Enigma machine to decipher the coordinates in the message, and duly reported to a recording studio secreted away in lower Manhattan and recorded a live set for Breakthru Radio. The session goes live today. We’ll be playing this Friday night, June 12 at Pianos in Manhattan’s mellifluous Lower East Side. We’re supposed to go on at 11. 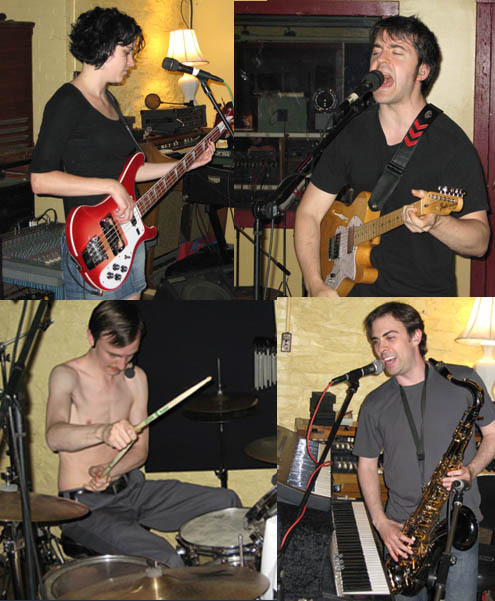 Music from Hurry Up was used in all of the final 3 episodes of MTV’s Band in a Bubble series. You can listen to the entire EP online now and download songs very soon. 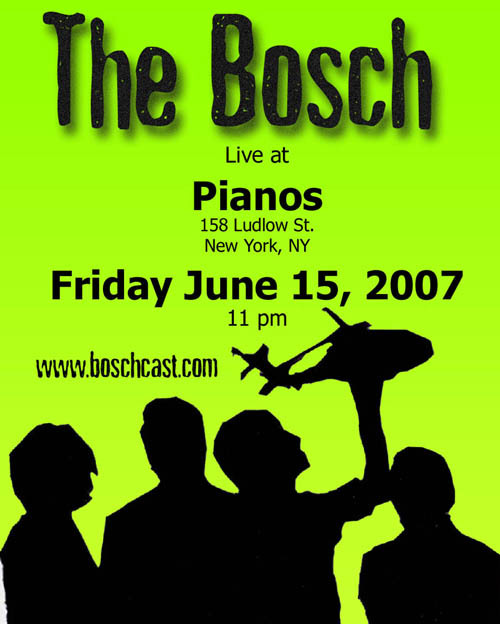 You should also come to Pianos on Friday June 15. We will be playing at 11 PM and it will be good. Counting and 1776 were used in the soundtrack of Episode 2 of Band in a Bubble on MTV. It’s available streaming online. This episode will air again a few times during this week on MTV and MTV2. Come on Phillie, is that the best you can do? 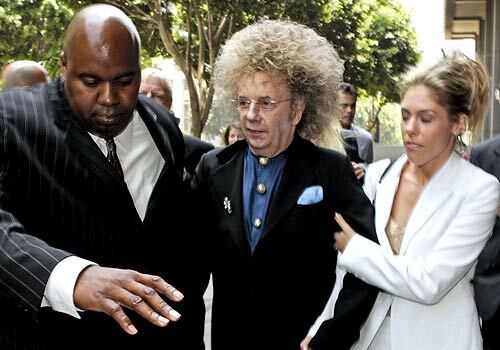 The LA Times has a blog with detailed coverage of the Phil Spector trial. From here on the east coast, we have added a last minute show at Magnetic Field in Brooklyn (on Atlantic between Henry and Hicks) on Thursday, May 17 at 8 pm, with Modern Skirts from Athens, GA. The new phone books are here! The new mixes are here! We’ve posted some of the rough mixes from the new EP here on the website in a snazzy streaming player. 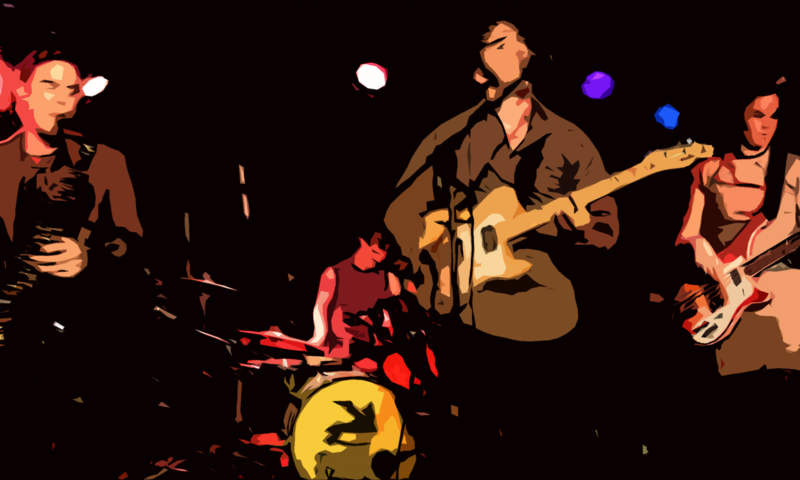 Thanks to everyone who came and made the Mercury Lounge show last month such a success. 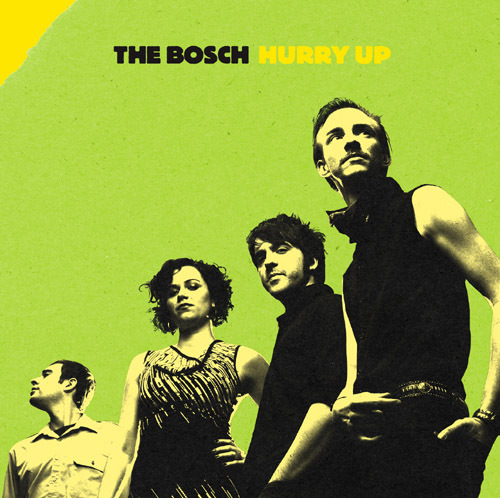 We’re busy here at The Bosch World HQ working on new songs and getting ready to release the EP this spring with style. 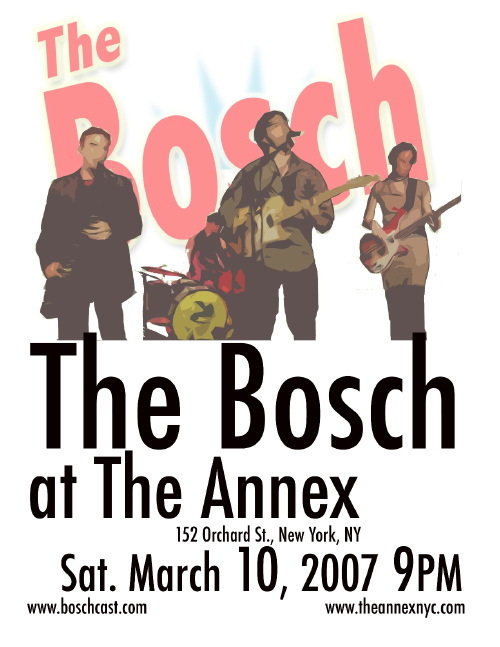 Next up, we’ll be playing The Annex on Saturday, March 10. This upcoming Saturday, January 27, we will be playing at The Mercury Lounge at 10:30 pm. Subway: F/V to 2nd Ave. J/M/Z to Essex St. In addition, Holt penned a very detailed recording journal.